Gender studies expert and Upper East Side co-op owner Susan Shapiro Barash is the author of a dozen nonfiction books on womens’ issues. Barash discusses her six-year suburban sabbatical, her Internet problems and how women apartment-hunt differently than men. Excerpts from her interview with BrickUnderground follow. Where did you live before moving to NYC after college? How did you find your first apartment? I was raised on Long Beach Island, N.J., which is a barrier island. It was the antithesis of New York City. A real beach town. When I was in college. I lived in a house on campus and in a dorm at Sarah Lawrence. After graduating I got a two-bedroom on the UES renting for about $600 that I shared with a roommate. We went to the managing agent directly; those were the days before brokers. Tell me about your NYC apartments. After that first apartment, I got married and lived in a Fifth Avenue one-bedroom rental, which was my first husband’s apartment. It eventually went co-op. Then we lived with our two kids in a three-bedroom rental in Yorkville on E. 78th that we found through a broker. NYC was a rental city in those days. We then decided to buy after three years. We wanted a real home and to raise our kids in NYC. It needed to be large and the broker led us to a 3,000 sq. ft. co-op. Thankfully, the board interview was easy. After living there eight years we sold it and moved to Connecticut where I stayed for the next six years. What brought me back was that I didn’t like it there. I missed New York and city life. Greenwich was very spread out and with three children, I basically spent my days in the car. Also, I was getting divorced, and I started teaching college in the writing department of Marymount Manhattan College. 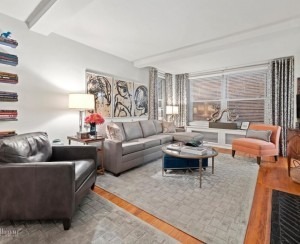 I met my future husband--a lawyer in NYC--so I just took a rental for a year on East 69th through a broker. Once we got married we bought a co-op on East 88th Street. It is a classic-six but we made a den into an additional bedroom. We are still living there. Having written a lot about gender relationships, why do you think there are not more female supers, doormen, etc? I think it is a shame there aren’t. And I don’t understand it; I notice that with cabdrivers too. I have always wondered why and think it is wrong because women need more options. I’ve always asked my doormen about it and just got shrugs and a “This is just the way it is.” Very hard to believe in today’s world. A remnant of older New York, I guess. Do you think that men are intimidated by women who own their own apartments in NYC? Good question. This is surely a gender issue but it depends on the person. If one is intimidated one might be sexist, but in a perfect world it is great to be with someone who is independent and successful. 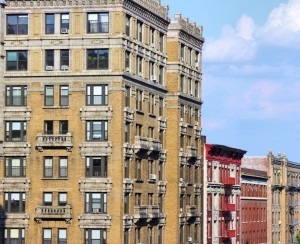 Do you think men and women approach an apartment hunt—whether renting or buying—differently? If so, how? Yes. I think there the practical business aspect is the same. However, sometimes men may dismiss an apartment saying they wouldn’t get past the board based on finances, or personality, etc. Women tend to be more persistent because women are used to pushing to get somewhere in society. How do your theories on handling ‘toxic relationships’ translate into the apartment-dwelling sphere, as far as dealing with difficult neighbors or oppressive co-op board? A single woman once told me a co-op board treated her unfairly because she owned the apartment that she was selling to move there. She pushed and they ended up taking her. Boards can be old school and sexist but generally in a building you will make friends who will identify with you. There’s a strong gender identification with women. For example, it is likely a mother will meet other mothers in similar situations and be bonded in a building. In my book, Toxic Friends: The Antidote for Women Stuck in Complicated Friendships, I discuss this concept of mirroring friends’ lifestyles. How does living on the Upper East Side affect being a writer? It’s a great place to write. I love the New York Society Library, the Strand Bookstore, the library at Marymont College where I teach, and the New York Public Library. On the other hand, New York City is seductive, so you have to hunker down for deadlines. You need to discipline yourself to not walk out of your building because everything is so interesting and fluid here. Living here also gives me ideas for books. I do my research by finding how women in other parts of the country feel after I see what women here are doing. New York is great for people watching—people of all ages and types. Women are very open. What’s the best and worst thing about your current apartment? Best: I like the space. It’s open, high ceilings, pre-war and I love the color of the floors. They are a honey colored herringbone wood. Worst: My office space is in the back and cluttered. I’m considering opening it up in a different way. What do you appreciate about your apartment or building now that you didn’t necessarily when you moved in? I like the neighbors, the doormen and the super. What bothers you now that you didn’t expect when you moved in? Not much. I’m so lucky. The only thing is the Internet goes down a lot--because I live in an old building, I suspect, not because of the provider. What’s the weirdest [or scariest] thing that has ever happened to you living in NYC? I was mugged in an elevator on the West Side while visiting a friend many years ago. A delivery man tried to steal my purse at knifepoint and I got out without him getting it. And once my wallet was stolen in Barnes and Noble. What’s your dream home and why? I would love to have a very large apartment with big open windows in a building that has a terrific swimming pool because I swim everyday. I would also love to have a library in my building. So you want to exercise your mind and your body all in one place. 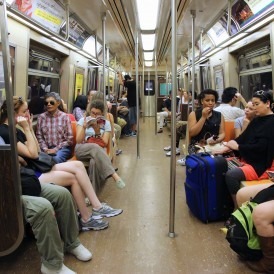 What is the one thing you’d change about living in Manhattan? I think the streets are dirty. I think there are many streets where you can twist your ankle and the city should start repaving side streets. What tips would you offer to someone just moving to NYC? If you can afford it, move to a doorman building. If there’s a gym in the building it will make a difference. And if you can live near a park, do it! What are your favorite food-related places in NYC? Do you tend to cook in more or go out? Where do you order delivery from? I cook in a lot during the week because I write at night so I don’t want to go out. My favorite delivery in the area is Divino which is Italian on East 80th and Second Avenue. I also like Three Guys Diner on Madison and East 89th. I like LeCirque in the casual area up front for lunch with friends because it is open and spacious. What are some romantic spots in NYC? Neue Gallery on 86th and Madison is so romantic. To walk through the small rooms—so beautiful. Also the Frick museum is wonderful. Fox 5 Julie Chang's 5th floor walk-up: "I buy umbrellas like packs of gum"